‘Tis the season in London for warming cups of mulled wine, cheery Christmas markets and perhaps the most wintery of all activities: ice skating! With December just around the corner, ice rinks are popping up all around the city. 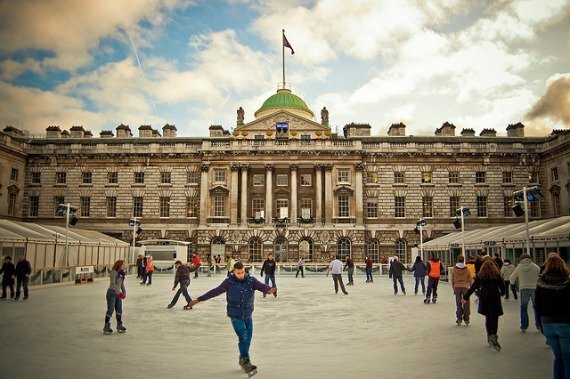 From romantic rinks to family-friendly locations, read on to discover the best places to go ice skating in London! One of the prettiest in the city, the Natural History Museum’s stunning Victorian architecture serves as a magical backdrop to this 1,000 square meter ice rink. Flanked by a sparkling vintage carousel and situated in beautiful South Kensington — perhaps the most quintessential of all London neighbourhoods — skating here on a crisp winter’s day is a favourite. 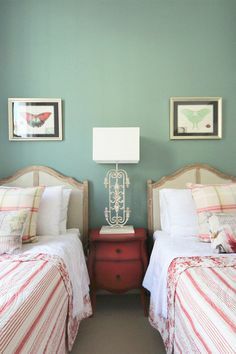 Advanced booking on weekends and evenings is highly recommended. For a full day of festive fun, look no further than Eyeskate at the London Eye. The centrepiece of London Eye’s “Frostival,” the rink dazzles under the sparkle of holiday lights. 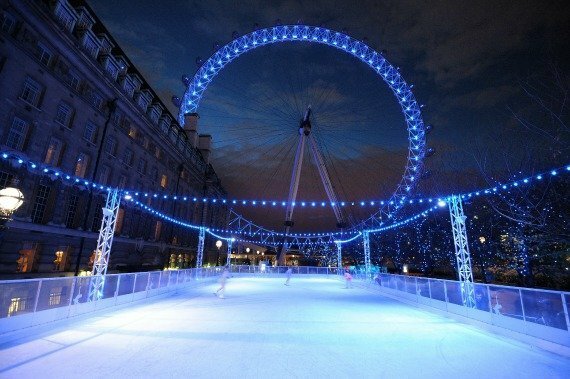 This year discount tickets are available that include an ice-skating session and a trip on the London Eye. As if that wasn’t enough incentive to visit, the German-style South Bank Centre Christmas Market is right next-door and is the perfect place to do a little last-minute holiday shopping. Find out more about Eyeskate at the London Eye. 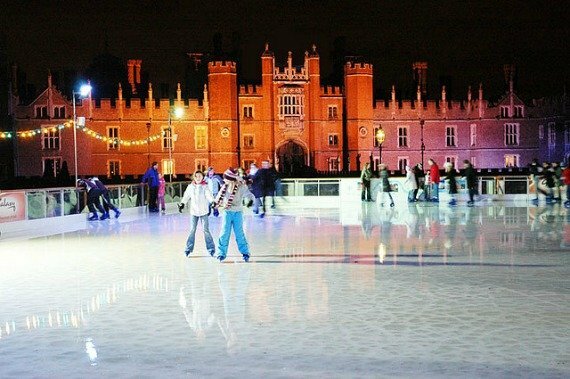 Head over to Hampton Court Palace this winter and skate in Henry VIII’s front yard! This ice rink is situated right in front of the magnificent Tudor Palace, along the ancient River Thames. It’s the perfect place to take a break from busy London and as an added bonus, the palace remains open to visitors while the ice rink is running. 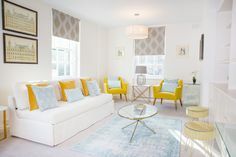 Direct trains to Hampton Court Palace are available from Waterloo Station with a journey time is 38 minutes. Find out more about the Hampton Court Palace Ice Rink. This is London’s version of the ice rink at Rockefeller Center in New York. Surrounding by soaring skyscrapers, the 1100 square metre Canary Wharf Ice Rink is the destination of choice for those looking to pair their skate session with a dash of urban cool. 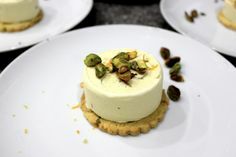 Chic eatery Q on Ice is responsible for rink side food this year and will be serving up everything from crispy chicken schnitzel to hot chocolate and warming winter cocktails. 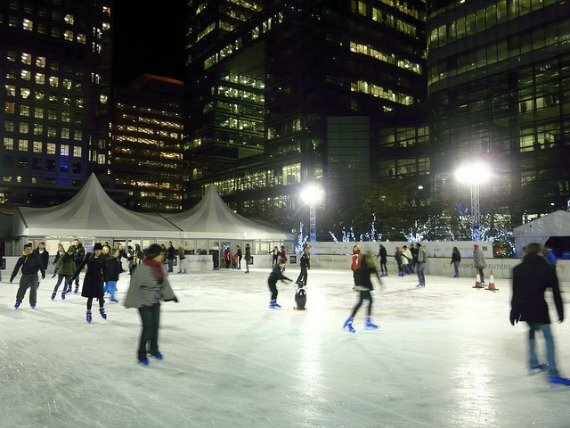 Find out more about the Canary Wharf Ice Rink. Every year around mid-November the beautiful courtyard at Somerset House is transformed into an enormous ice skating rink. A favourite with locals and tourists alike, the rink is famous for its themed club nights and Glad Tidings Tuesdays, when the courtyard is filled with the sounds of celebrated choirs singing carols. This year organisers have teamed up with legendary London grocer Fortnum and Mason to put on an incredible Christmas shopping experience. The halls of Somerset House are decked with lovely decorations and there’s plenty of luxury shopping to be had. 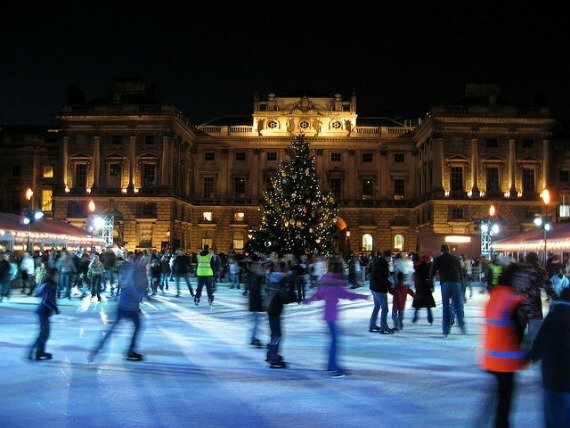 Find out more about the Somerset House Ice Rink. Hyde Park Winter Wonderland is a traditional German Christmas Market, carnival and circus all rolled into one. The ice rink is set around a stately Victorian bandstand and is draped in a canopy of 100,000 sparkling lights, making it perhaps the most romantic in all of London. Beyond the ice you’ll find plenty of rides and attraction for children of all ages, as well as restaurants and cafes serving up traditional German and British fare. Find out more about the ice rink at Winter Wonderland. When the weather outside is frightful, Westfield London has you covered! Combine a day of shopping with a spot of indoor ice-skating at this chic American-style shopping mall. Located in Shepherd’s Bush in West London near Kensington and Notting Hill, Westfield London has all the global name brands you can think of along with a few stores you’ll only find in England. Find out more about the ice rink at Westfield London. Posted on Monday, November 17th, 2014 at 5:25 pm in See & Do. You can follow any responses to this entry through the RSS 2.0 feed. You can leave a response, or trackback from your own site.